HomeCinemaMasalaKaran Johar’s Drive featuring Sushant Singh Rajput in deep trouble? 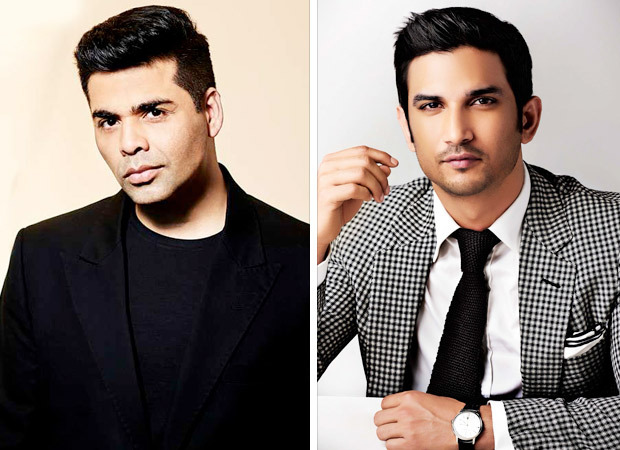 Karan Johar’s Drive featuring Sushant Singh Rajput in deep trouble? Why are so many of Sushant Singh Rajput’s films getting shelved or delayed? Barely had we gotten over the fact that his dream project Paani with Shekhar Kapur has been aborted, and that the space odyssey Chanda Mama Door Ke has been indefinitely delayed. Now comes the news that Sushant’s almost-ready-for-release starrer Drive, his first for Karan Johar’s Dharma Productions, is in trouble. Deep trouble. According to sources in the know, the film’s producer Karan Johar is not happy with the end-product. “Karan has already sent back the film for re-shooting twice. But even after director Tarun Mansukhani re-shot portions of Drive, Karan was unhappy. At the moment, the future of the film seems uncertain. Because Karan is not willing to release it the way it has shaped up now,” says the well-informed source. This is not the first time that Karan Johar and his protege Tarun Mansukhani have had creative differences. Way back in 2009, Karan greenlighted Mansukhani’s Dostana 2 with Abhishek Bachchan, John Abraham and Katrina Kaif. But, the project was put on indefinite hold and finally shelved as Mansukhani could not come up with a satisfactory script. Drive, which was to release in 2017, was pushed to March 2018. That date too was postponed. The film is unlikely to meet its current release date in September 2018.